As shown in an earlier post, VR has been used in Store Design and Merchandising Design since the late 80s. 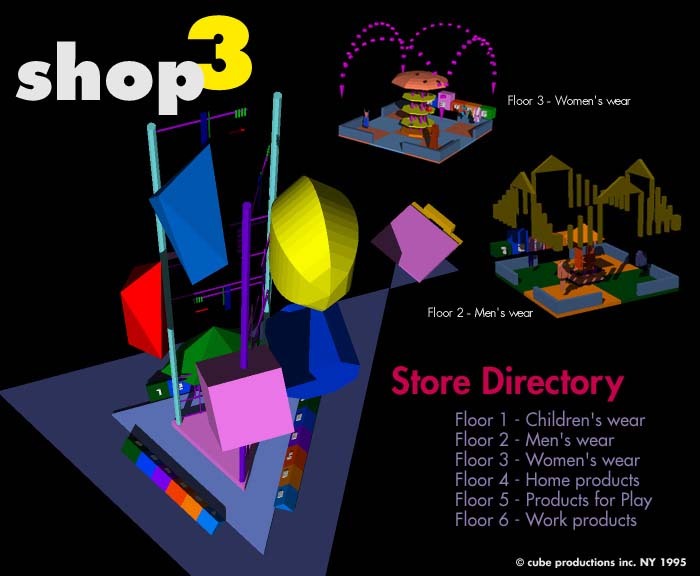 By the mid 90s we had demoed online VR Shopping Worlds, and this example web based X3D prototype done in aprox. 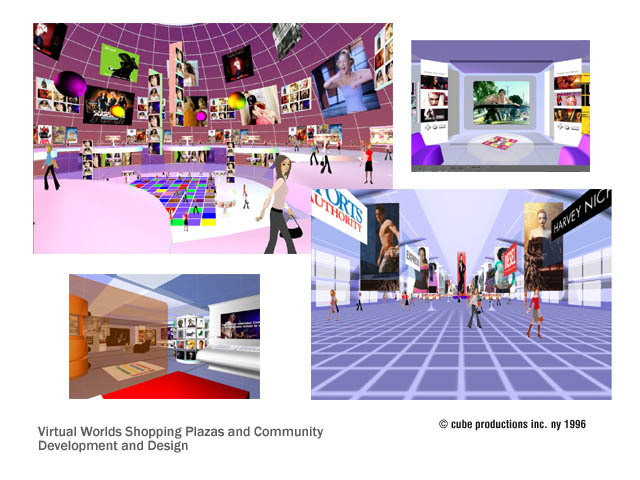 2002-2003 showed not only a VR shopping plaza, but the idea of personalized “VR pod” spaces where viewsers “could” live and host movies, music and get together’s with their friends. Music stores became club like mediaverse spaces that would run 24/7 and avatar fashion would be just as important as real-life fashion and wears. 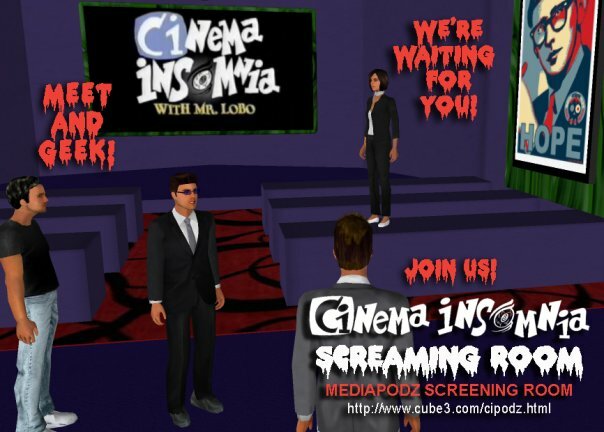 Virtual 3D shopping isn’t what most think, What we learned then is still the reality now. 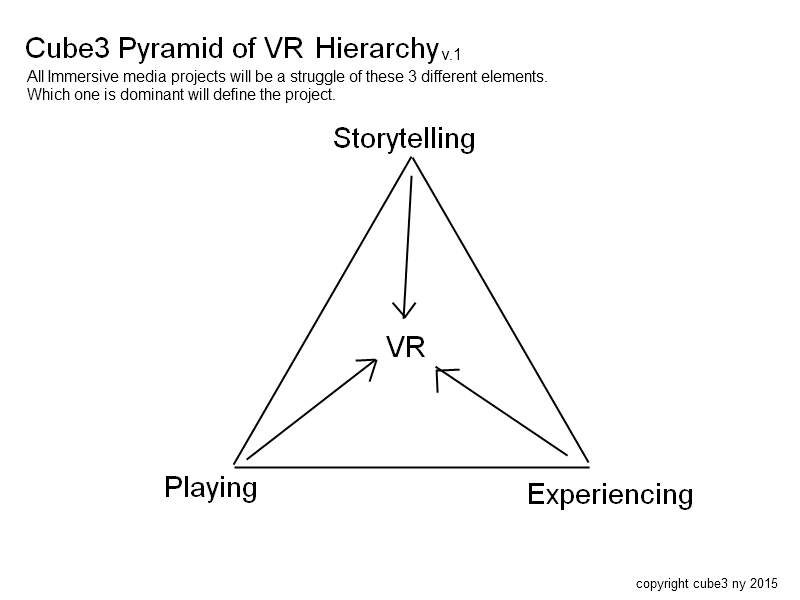 VR History 101 – Adobe made a VR 3D CHAT product?! say wha?! Yes. Adobe the graphics giant DID spend years developing a multi-user 3D VR chat program and server. Called “Atmosphere” it lived in perpetual beta even before Second Life ever came out. When it finally was released it lasted about as long as Googles VR Chat Lively. ( Say WHA?! Google had a 3D VR Chat? ) which for both was only a few months until unceremoniously pulled by both companies. Adobe Atmosphere was online around 2001-4 or so. Lively from Google came about later, maybe 2006-7. It died in 2008. Like most 3D VR chat worlds/online 3D min-games done they can no longer be experienced since the plugins and the servers are long gone. Here’s the link to the setup page and a set of images from the long dead Ghostship SS Atlantis. May new VR Chats have longer lives. ;) Will the HMDs make the difference in finding mass adoption? I have some thoughts. Many People claim the first 3D Virtual Shopping Malls on the Internet etc etc. This maybe the earliest “working demo” Although there were no paypal buttons or credit card click here’s within browsers in 95 to allow an actual purchase of anything, The Mall did work as a 2D/3D hybrid Interface. This was a full 3D interface that launched each “3D floor” of the Shopping Center. Each was a RT3D model and linked to a 2D HTML pages of photos/text descriptions of actual products. It was built in Virtus VR, exported as VRML 1,0 and placed on the WWW as a company demo. Simple, Graphic and Pretty Cool. VR Journalism is now getting some attention. 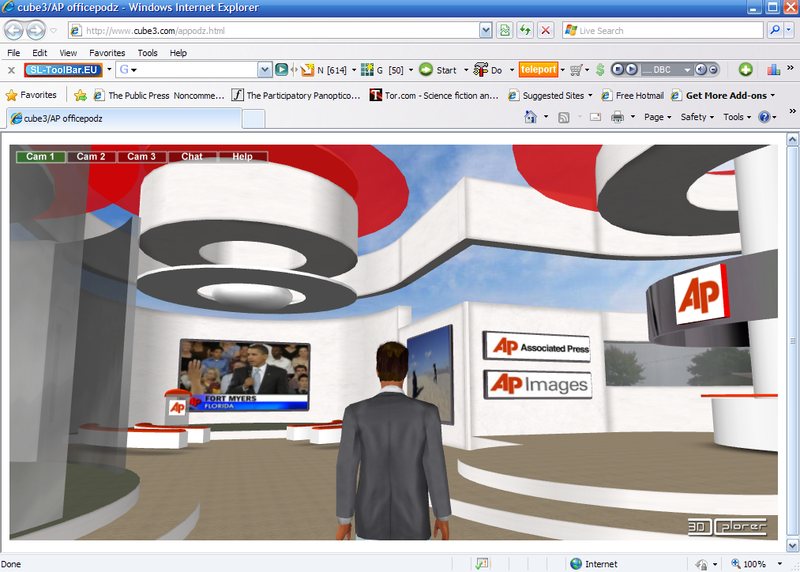 I created this Multi-User browser based News Room Demo in 2009 after talking with some at the Associated Press. The Concept was to bring “news junkies” together in VR online to watch and comment of News events. Build a citizen Journalist community. I found- well actually didn’t even remember i had left this on my server- the old homepage and meeting pages for the SFWEB3D group that met and demoed VR RT3D things in San Fran from about 2001-3. You’ll see lots of companies and names that if you’re new to VR will draw a blank:) Even the main sponsor MINDAVENUE who made a pre UNITY product called AXEL3D will most likely draw WTF?. It was a great tool and if the timing and the makers resources had been different, well…. 360 VR History 101. QTVR 1999-2002 . Found Some CGI 3D Samples I had done. here’s a blast from the past. about 13 years ago:) 360 video VR as it was. It was by Apple. and called Quicktime VR. :) and their were a few early pioneers using it. Requires QTVR Plugin. I tested it on Chrome and Firefox. seem to load fine. The Starbase C3 Spaceships were offered as the first drop into a planet library objects for sale. I found this online- the SFWEB3D 2002 meeting about the Software and 360 panoramas.. note the post about ” its definitely not VRML” 😉 the more things change, the more they stay the same. 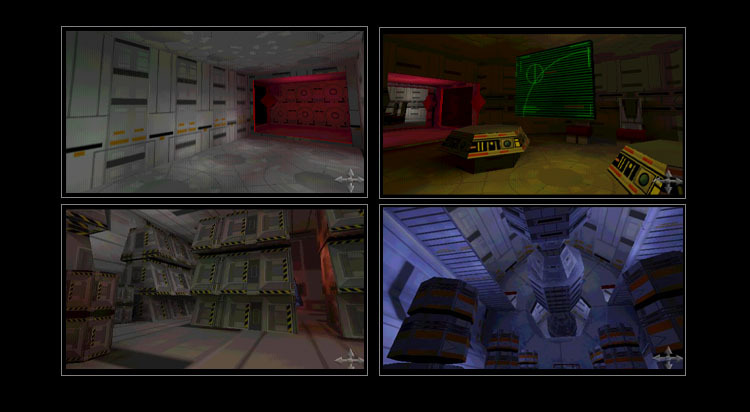 even then the forces of realtime 3d vs rendered/or camera recorded environments was going on. FOUND- Early VR from the NYVRMLSIG in 1995. VR Altdotcoffee Cybercafe.